You can now make your tuition payments online using your credit card or PayPal account! I would like to make a tuition payment. 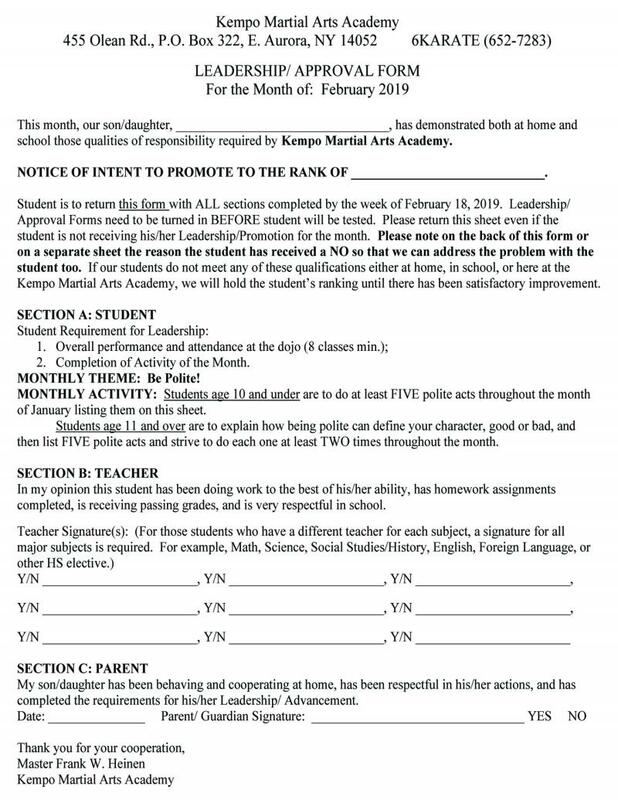 Would you like more information about classes provided at Kempo Martial Arts Academy? 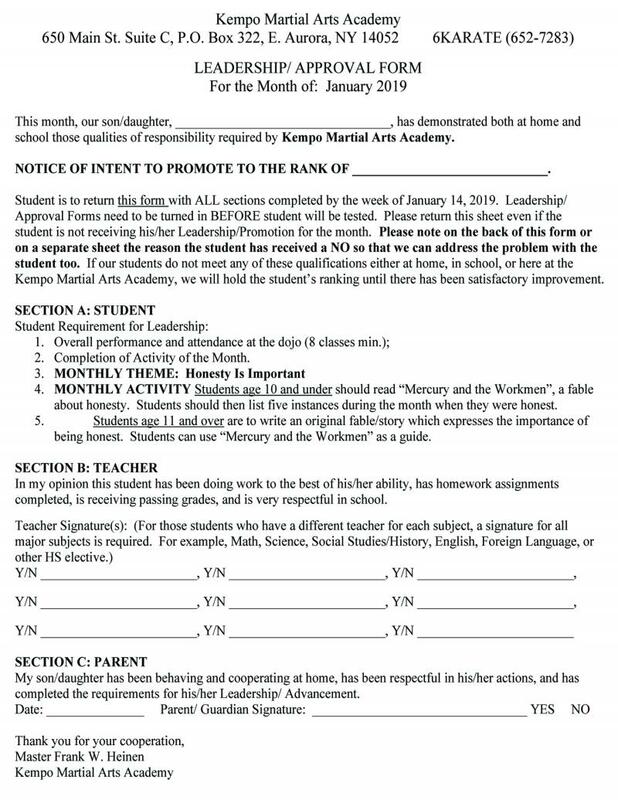 Please contact the school during open hours or email Master Heinen. 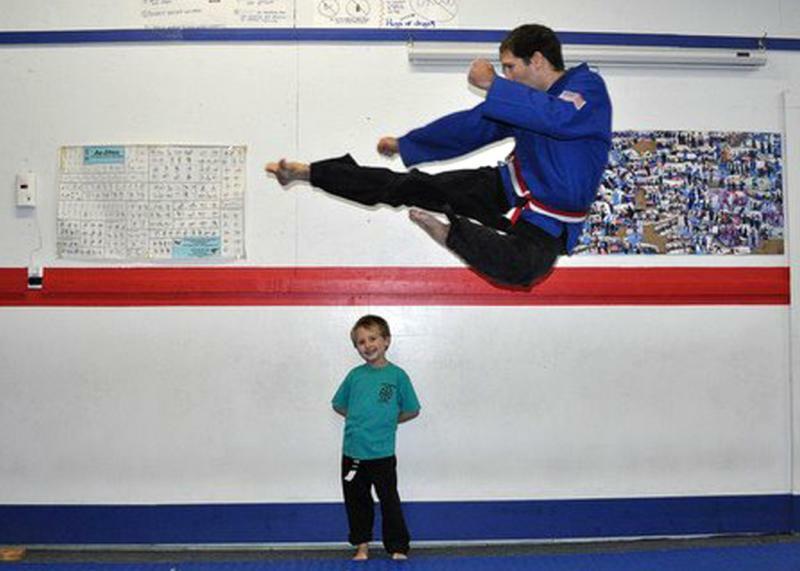 Just for fun Master Scott Phillips decided to do a flying side kick over the head of his son, Ryan! 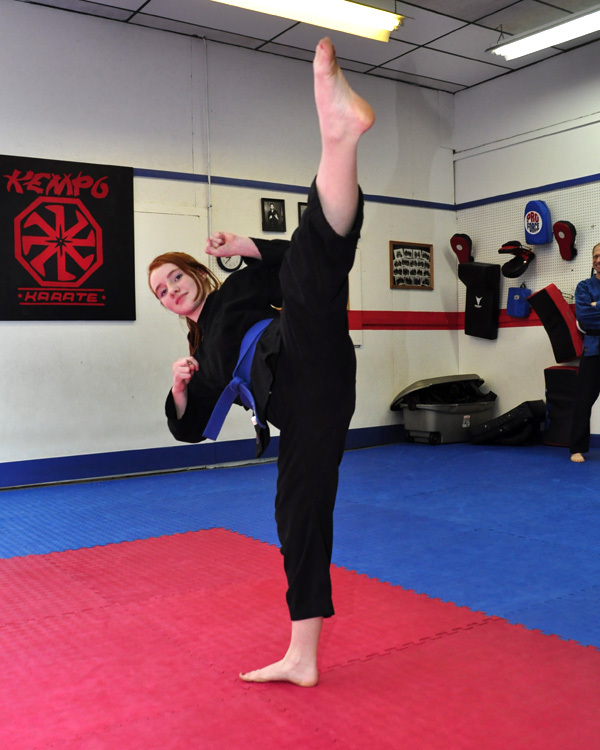 If the move looks familiar, it is one of the kicks featured in the Kempo Martial Arts Academy logo.